Obituary for Andrew J. 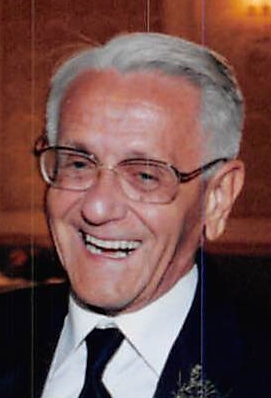 "Andy" Swistak | Varnum Funeral Home, Inc.
Gilbertville - Andrew J. "Andy" Swistak, 78, of Taylor Street in Gilbertville died on Saturday, August 25, 2018 at Baystate Medical Center in Springfield following a brief period of declining health. He leaves his daughter, Ann M. McTernan and her husband Neal of Swampscott; two sons, Andrew J. Swistak, Jr. of Gilbertville, and Theodore Swistak also of Glbertville, five grandchildren, and many neices and nephews. He also leaves his close friend, Marlene T. Beauregard of Ware. He was predeceased by his wife of 37 years, Florence Diane (Hutchins) Swistak in 2003, and his brothers, John and Frank Swistak. He was born and grew up in Ware, son of the late Theodore and Julia (Surowiecki) Swistak and has lived in Gilbertville for over 50 years. Andrew worked as a sewing machine mechanic at Ware Knitters. After the mill closed, he attended the Salter School of Business, and worked in the Pension Department at Mass Mutual Insurance Co., before retiring in 1999. Andy was a life long member of St. Mary’s Church in Ware, where he was an active member since childhood, and he remained devoted to the Catholic Chuch. He loved his town, and was an active member of the community up until his death. He served the Town of Hardwick as a Selectman from 1977-1989, and filled in on various other postions including his current position as Vice-Chariman of the Board of Health. He enjoyed reading science-fiction novels, as well as watching movies and televison. When he was younger, he was an avid runner and could often be seen jogging down “the stretch” on Route 32. Along with his late brother John, he did numismatics, and in his younger years, enjoyed playing the trumpet. With his kind and personal nature, he always had a friendly smile for you, and was always ready to stop and chat. A Funeral Mass for Andrew will be held on Wednesday, August 29, 2018 at 10:00am in St. Mary’s Church, 60 South St., in Ware. Calling hours will be held on Tuesday, August 28, 2018 from 5 to 7pm in the Charbonneau Funeral Home, 30 Pleasant St., in Ware. Burial will be in Hardwick Cemetery following mass. In lieu of flowers, memorial donations may be made to support cancer care at the Baystate Health Foundation, Inc., 280 Chestnut St., Springfield, MA 01109 or at baystatehealth.org/giving.